The Quadra 840av was the first 68040 Mac to break the 33 MHz barrier. 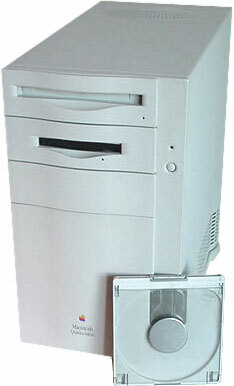 Based on the 40 MHz 68040 processor, and housed in a Quadra 800-style case, the 840av included AV features similar to its younger sibling, the 660av. However, it's AT&T 3210 DSP ran at a faster 66 MHz. It also included one Geoport, and sold for $3,550, which was inexpensive for what was, at the time, the fastest Mac ever.